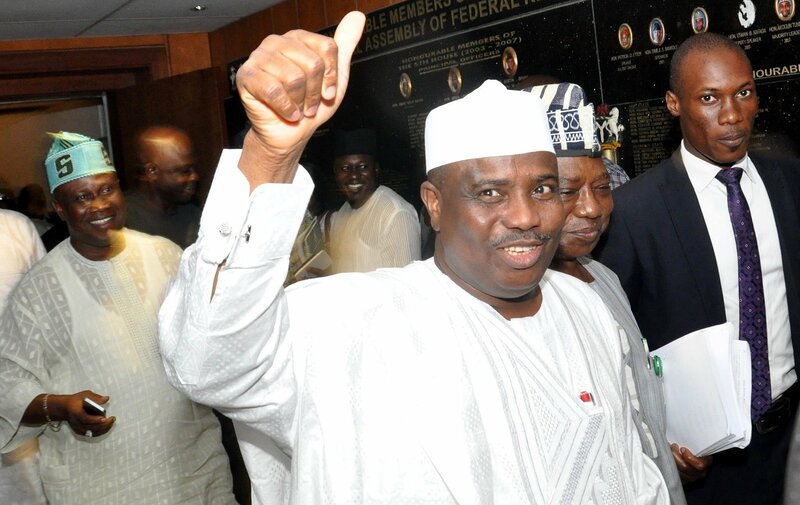 Governor Aminu Waziri Tambuwal of People’s Democratic Party (PDP) has been declared the winner of Sokoto gubernatorial election by the Independent National Electoral Commission (INEC). Prof. Fatima Mukthar, the Returning/Collation Officer for the state announced that Governor Tambuwal polled a total of 512,002 votes to defeat his arch-rival Hon. Ahmed, Aliyu Sokoto, of the All Progressives Congress who scored 511,660 votes. She explained that the overall valid votes stood at 1,067,994 while rejected votes were 31,662. The Returning Officer also noted that registered votes numbered 1,887,767 while total accredited votes were 1,083,413. However, the supplementary election result as collated indicated that Tambuwal showed that Tambuwal lost, scoring 22,444 votes, while the candidate of the All Progressives Congress (APC) Hon. Ahmed Aliyu Sokoto, took the contest, polling a total of 25,515 votes. The total registered votes of the supplementary were 95,022 while total accredited voters stood at 50,332. She also said 48,390 were the total valid votes, 1,580 votes were rejected while 49,970 votes were cast. Prior to the declaration of the governorship election inconclusive by Prof Fatima Mukhtar, Governor Tambuwal of PDP, was clearly in the lead with 489,558 votes ahead of Aliyu of the APC, who had polled 486,145 votes. The election however, ended in a stalemate as the 3,413 votes margin was far less than the cancelled votes totalling 75,403.